Do you suffer from dry eyes and often find yourself tempted to scratch your dry, itchy eyes? 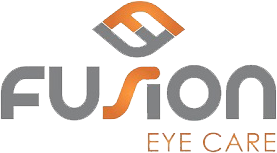 Call Fusion Eye Care at (919) 977-7480 ASAP to determine how serious your condition is. Dry eyes is a medical condition where a person doesn’t produce enough tears to keep the eyes lubricated and nourished. Tears are one of the ways that the eyes remain healthy. They help maintain clear vision and protect the surface of the eye from damage. Older adults often develop chronic dry eyes as they get age. As we blink, tears spread out across the cornea of the eye. These tears help lubricate the eye and help reduce the possibility of an infection in the eye. They also help wash away debris that can enter the eye and help ensure the eye’s surface remains clear and smooth. There are small tear ducts in the corner of the eyes and these help drain away any excess tears. When a person’s drainage and tear production aren’t balanced, the person can develop dry eyes and require a dry eye treatment such as medication, drops, or other treatments detailed below. People who suffer from dry eyes either produce tears of low quality or do not produce enough tears. There are three layers in every tear. They are the water, oil and mucus layers. Each of these components helps nourish and protect the eye’s surface. The oil layer helps prevent the water layer from evaporating while the mucus layer helps the tears spread evenly across the eye surface. When tears don’t spread evenly across the cornea or the tears evaporate too quickly, it can mean there is a problem with one of the tear layers. This can result in dry eyes. An inadequate water layer is the most common reason for dry eyes. This is a condition known as keratoconjunctivitis sicca or KCS. 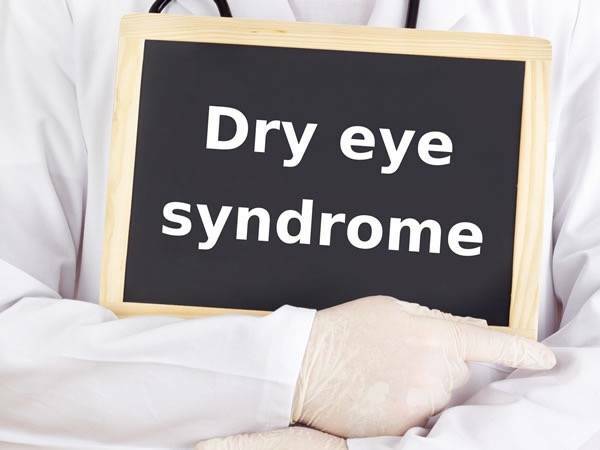 This condition is also called dry eyes syndrome. When we produce tears, they come from several glands located around and in the eyelids. As we get older, our tear production tends to diminish. This may also be caused by certain medications or occur as a result of various medical conditions. Other factors which can impact tear production are environmental conditions such as exposure to the wind or a dry climate. These can cause our tears to evaporate too quickly and result in dry eyes. If a person’s tear production is reduced or their tears are evaporating too quickly, they may develop chronic dry eyes. People who are diagnosed with dry eyes may experience symptoms where they eyes feel scratchy, gritty, irritated or like they are burning. The patient may also feel like they have something in their eyes or experience blurred vision or excessive watering. If not treated correctly, advanced dry eyes can result in damage to the front of the cornea and may cause vision damage. There are several treatments for dry eyes. They focus on maintaining or restoring a patient’s tears to minimize all dryness and any related discomfort. This helps maintain the health of the eye. Age. A reduction in tear production is natural as we get older. This can result in dry eyes and most people who are over age 65 suffer from some form of dry eyes. Medications. There are certain medications including decongestants, antihistamines, antidepressants and blood pressure medications which can cause tear reduction. Gender. Women tend to experience dry eyes more often than men. This may be a result of oral contraceptives use, hormonal changes during pregnancy or menopause. Environmental Conditions. If a person is routinely exposed to certain environmental conditions such as the wind, smoke or a dry climate, their tears may evaporate more quickly. This can cause symptoms of dry eyes. Another possibility is not blinking enough which often happens when a person is working on a computer. This can also contribute to dry eye symptoms. Medical Conditions. There are certain medical conditions which tend to result in dry eyes. These include diabetes, rheumatoid arthritis, and thyroid problems. Other conditions which can often cause dry eyes include blepharitis which is an inflammation of the eyelids, an outward or inward turning of the eyelids, or if the surface of the eye becomes inflamed. All of these can result in dry eyes. Other Factors. Another frequent cause of dry eyes is long-term use of contacts. If a person leaves their contacts in too long, it can also cause their eyes to feel dry and scratchy. Another common cause of dry eyes is refractive eye surgeries. These procedures such as LASIK can result in decreased tear production which can lead to dry eyes. The patient’s history. This information is used to determine if they are experiencing any symptoms and to note information about the patient’s general overall health. The doctor will also ask about environmental factors and any medications the patient is taking. The doctor will perform an external eye examination. This will include looking at the structure of the lid and studying the blink dynamics. The doctor will also evaluate the cornea and the eyelids. They will do this using magnification and bright lights. The doctor will also measure the quality and quantity of the patient’s tears looking for any abnormalities. They may place special dyes in the patient’s eyes so they can observe the flow of their tears and highlight any potential issues in the eye’s outer surface that may have been caused by reduced tear production. The doctor will use this information to determine if a patient has dry eyes and to create a plan for treating the condition. This is a chronic condition that if left untreated can cause vision damage. Your doctor can prescribe a treatment plan that will help keep your eyes comfortable and healthy and prevent any damage to your vision. The most common treatment used to treat and manage dry eyes is to add artificial tears to the eyes by artificial tear solution. These are often sold over-the-counter although there are also prescription medications available. Other common treatment options include increasing tear production, conserving the natural tears, and reducing inflammation on the cornea or in the eyelids. If a patient’s case of dry eyes is mild, the doctor may prescribe over-the-counter artificial tears. These are used throughout the day to help a patient manage their dry eyes and to supplement their own tear production. Most Raleigh eye doctors recommend artificial tear solutions which are preservative-free since any type of additive may irritate the eyes. Another treatment option for dry eyes is to increase the patient’s tear production. This is usually done with prescription eye drops. The doctor may also recommend the patient take an omega-3 supplement. The doctor may try to reduce a patient’s tear evaporation. This helps keep their tears in their eyes longer. This can be accomplished by blocking the tear ducts using a plug made from gel or silicone. If this doesn’t work, the doctor may recommend a surgical procedure to close the tear ducts permanently. 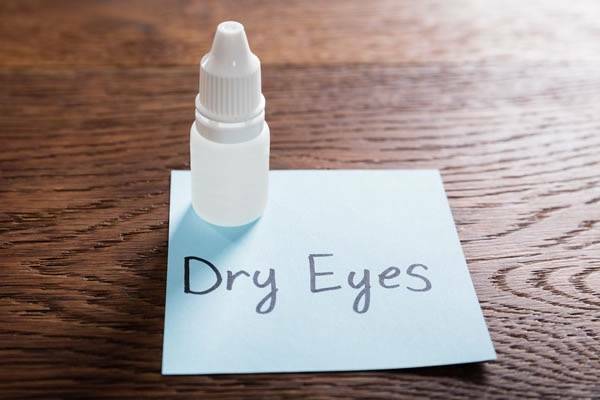 When over the counter eye drops don’t work, a Dr. Bassiri might suggest prescription dry eye drops. One of the most common ones is called Restasis. While most over the counter eyedrops simply moisten the surface of the eye, Restasis does more. As part of its chemical makeup, it contains an agent that actually addresses the inflammation that occurs due to dry eye syndrome. It also helps your body to produce tears naturally. That said, keep in mind that you may not see immediate results from this medication. It can take a full 90 days before you start seeing significant results. There’s also a risk of feeling a burning sensation in the eyes for the first few weeks. Another prescription eye medication that can help is Xiidra, which received FDA approval in July 2016. It’s also designed to reduce inflammation, similar to Restasis. Xiidra has quite a bit of research behind it. 1,181 people participated in four different 12 week long clinical trials. These participants were evaluated closely for any symptoms from dry eyes before the trial and then received regular check ups. In two of the studies, there was a noticeable reduction in dry eye symptoms after only two weeks. All four showed significant reductions in symptoms after six and 12 weeks. The study did check for the placebo effect, and it was found that there was a statistically significant amount of reduction when compared to the Xiidra users. 5 to 25 percent of participants experienced some or all of the following symptoms: Reduced visual acuity, altered taste sensation, and eye irritation. Even so, Xiidra often works quicker than Restasis, so some doctors will prescribe it instead. As medical science has advanced, doctors have taken note of how often inflammation is a primary cause of dry eyes. Inflammation is generally the cause of redness and burning sensations, but at times there’s inflammation that has no visible symptoms what so ever. Since over the counter eye drops don’t address the problem with inflammation, your Raleigh optometrist will sometimes recommend steroid eye drops. These are generally intended for short term use. They work quickly to deal with the inflammation. Often they’re used together with both over the counter drops and prescription drops, though doctors may prescribe the use of only one of those three. In general, the effects of steroid eye drops won’t be found outside of the eyes. There’s simply not enough of the liquid for the body to absorb. Even so, make sure you discuss any medical history you have with your doctor before you start using steroid eye drops. There are a large variety of steroid eye drops, most of which differ in potency rather than design. Your doctor is likely to start with lower-potency eye drops. That way the steroids are degraded quickly once they reach the eyes. If the lower-potency drops don’t work, doctors may prescribe stronger eye drops. The risks associated with steroid eye drops are severe, including cataracts and high eye pressure if they’re used for longer than prescribed. As long as you’re taking them as the doctor directs, you shouldn’t have a problem. If you do notice any problems, such as a throbbing sensation in your eyes or a burning sensation that won’t go away, discontinue use and talk to your doctor immediately. They may need to prescribe a different drug, or they may have to use alternative treatments such as surgical procedures. Another solution to your chronic dry eyes could be punctal plugs. Be sure to speak with Dr. Bassiri to see if this is the right treatment option for you.